Most people think that Chinese medicine is used only for chronic health problems, but it can be very effective for acute problems, like relieving and preventing colds. In fact, Chinese medicine has been relieving and preventing colds for thousands of years. Herbs can help relieve your sore throat, coughing, headaches, fatigue, chills and fever. The key is using the right formula at the right stage of your cold. Before taking Chinese herbs, ask your acupuncturist or Chinese medicine doctor which one is right for you. The itch in atopic dermatitis can take over your life. It is so intense, those with atopic eczema of wake up scratching. And after your scratch, the skin becomes more inflamed, itchy, dry, and lichenified. Most people with atopic eczema have a family history eczema, hay fever, and asthma. Allergies to foods, mold, or irritant substances may cause a flare in the condition (1). Atopic eczema is increasing rapidly in industrialized countries. Atopic eczema is treated most often with topical steroids that suppress the inflammatory response. Unfortunately, steroids also have many side effects. 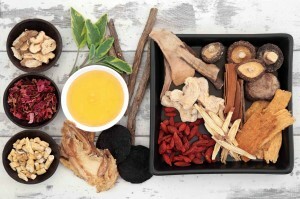 What is Chinese Herbal Therapy? Yesterday, an acupressure student of mine asked “What is Chinese Herbal Medicine?”. This is a good question that deserves a proper explanation. Chinese herbal therapies have been used for centuries for improving health and treating disease. Chinese herbs work to bring the body’s systems back into balance so the body can heal itself, naturally. The Chinese herbal pharmacy consists of over 500 herbs. Herbs are taken as combinations of 5-15 medicinal substances, which is called an herbal formula. Each formula is tailored to correct the specific imbalance that is the cause of the illness. Acupressure is the massage of acupressure points and channels. I often use acupressure and tui na (Chinese medical massage) combined with with acupuncture in my clinic. To really understand how acupressure works, we have to see it as part of the whole of Traditional Chinese Medicine. Chinese medicine dates back thousands of years. 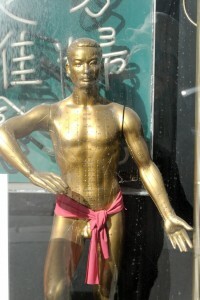 The first book of Chinese medicine is called the Huang di nei jing, or the Yellow Emperor’s Inner Cannon. Itching is an annoying and curious phenomenon. Your body feels an annoying sensation so you irritate the skin by scratching. It makes you feel extremely uncomfortable. This causes pain. The pain trumps the itching sensation and you no longer feel the annoyance. 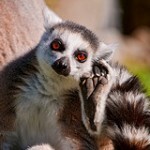 But the scratching causes inflammation and irritation in the area. The scratch causes more itch and the cycle continues. Pain trumps itch because the sensations are felt through many of the same nerve endings. Although researchers looking at itch specifically are finding more itch specific pathways in the spinal cord and brain. Here are a few articles explaining how acupuncture and Chinese herbs work for eczema. Observing the tongue and taking the pulse are two of the most common diagnostic techniques in Chinese medicine. Why look at the tongue? Chinese medicine uses diagnostic approaches, like the tongue and the pulse, because they reflect the imbalances that are causing your health problem. What are we looking for in the tongue? When I am looking at the tongue, I am looking at the the color of the tongue, the size and shape of the tongue body, and the coating on top of the tongue. Chinese herbal remedies have been used for centuries for many conditions and to boost overall health. 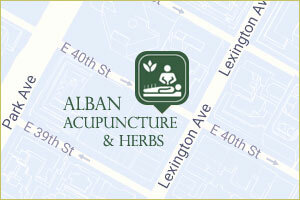 For many conditions the combination of acupuncture and herbs is the most effective approach. I almost always use herbs when treating acne, eczema, psoriasis, and other skin conditions. The current Chinese pharmacopeia contains more than 5000 herbs and medicinal products. A pharmacy will most often contain 500-1000 of the most commonly used herbs. Some of the herbs are only used in the region they are grown and are not easy to find elsewhere. Anything with the word “revenge” can’t be good. Commonly called Montezuma’s revenge, traveler’s diarrhea is a common illness for adventurers. Traveler’s diarrhea was a concern of mine when we were trekking in Peru. I’ve always known that I had a sensitive stomach when traveling, and I remember getting sick when in other countries. I wanted to try to avoid it on this trip.